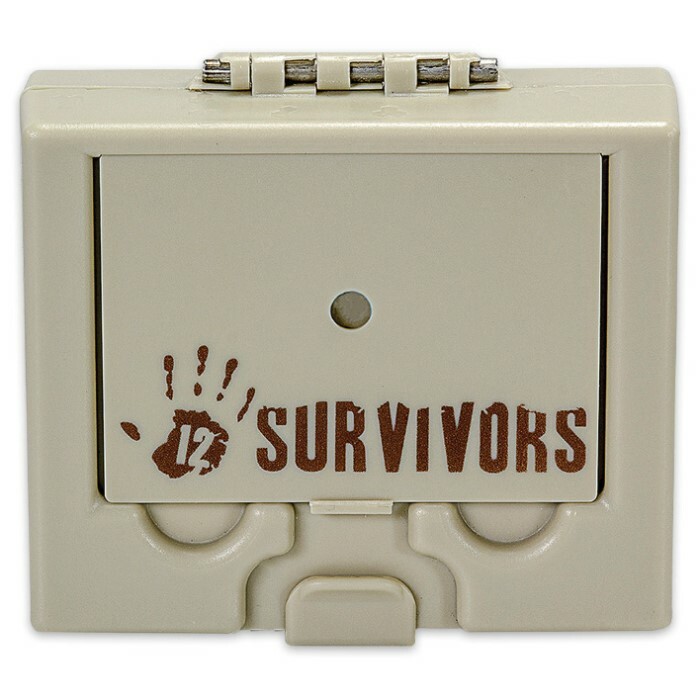 12 Survivors Mini Bug Out Box | BUDK.com - Knives & Swords At The Lowest Prices! 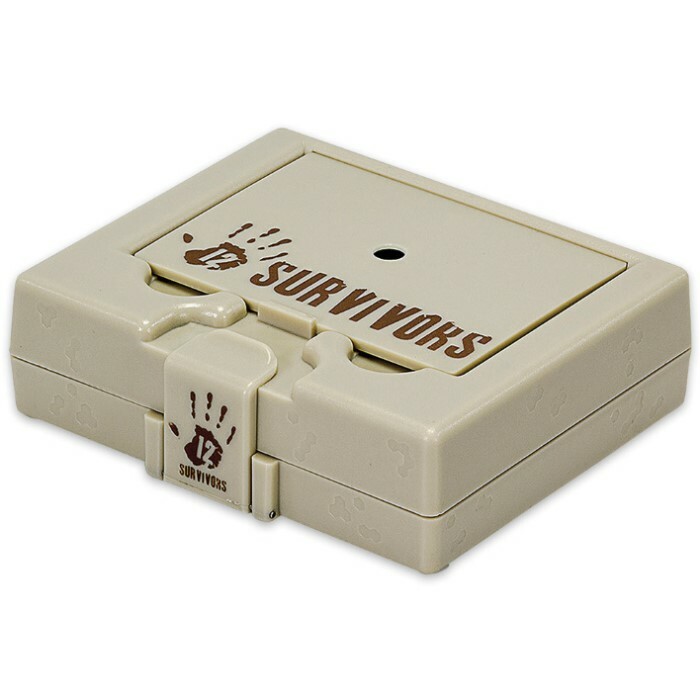 Keep the odds of survival on your side with the 12 Survivors Mini Bug Out Box. When you need it most, this compact kit contains 43 crucial pieces of survival gear housed in a durable, waterproof ABS plastic case. To keep warm, it provides a flint rod that can be used to start a fire. The kit also supplies paracord and other contents that can be used to create shelter in almost any condition. When provisions run out, survivors may obtain food by using the included fishing kit. 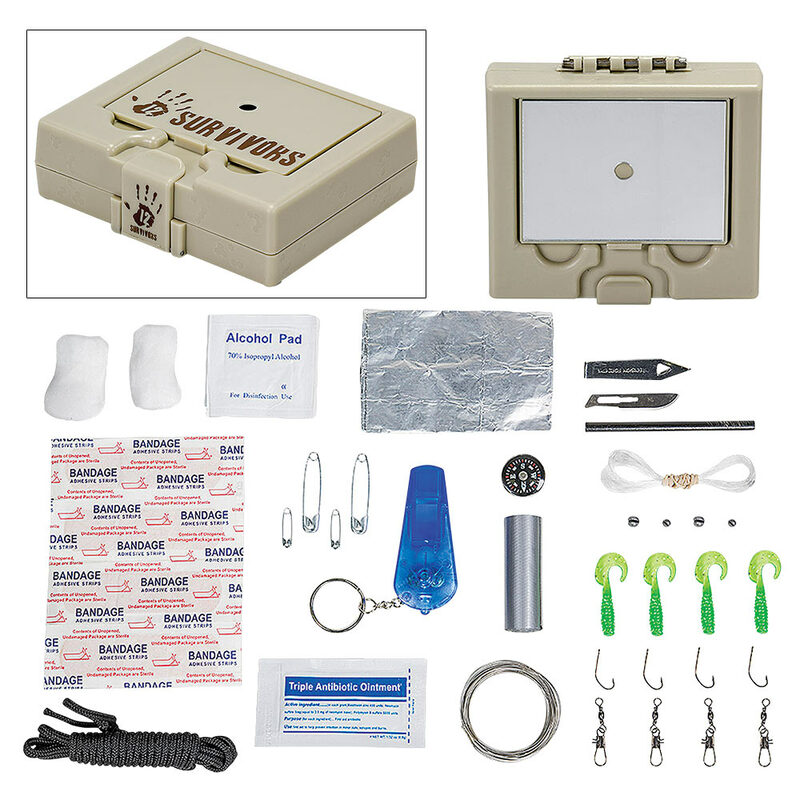 The Mini Bug Out Box also provides the means to call for rescue with both a whistle and signal mirror.